Break out your bier steins for the 10th annual Beer and Wine Festival at Holiday Valley Resort, sponsored by Holiday Valley Resort, the Ellicottville Brewing Company and the Southern Tier Brewery. The festival is a two day event on November 8 and 9, 2013 that features a Brewmaster dinner and a beer tasting event (2oz. glasses). The beer tasting dinner is held on Friday November 8, and has limited tickets. The Beer and Wine tasting event is on Saturday November 9, and allows ticket holders will be able to sample a variety of hand-crafted beers from over 30 of the best New York State and American craft breweries and wines from New York, Southern Ontario and Ellicottville vintners. The event is held ad the Yodeler Lodge at Holiday Valley resort and hosted by Holiday Valley Resort, the Ellicottville Brewing Company and Southern Tier Brewery. Each year the number of wineries participating in the event increases. For 2013, there are nine wineries, including the Winery of Ellicottville, 21 Brix, Willow Creek Winery and Merrit Estate Winery to name a few. There is live entertainment throughout the Saturday night event, which includes the Yodeler Lodge and a tent beer garden on the outside patio. An event menu of food is also available inside the lodge in the cafe areas. The 6th Brewmaster Dinner will take place on Friday, Nov. 8 at the Tannebaum Lodge at Holiday Valley Resort. The dinner is also a meet and greet, where you can meet the brewers and ask them about the beers and pairings. The dinner and courses are paired with different beers and ales. The food items are local, both grown and purchased within 60 miles of the Ellicottville. Tickets are $65 per person and are limited, so call for a reservation at 716-699-2345 or purchase on-line (Brewmaster Dinner Ticket Link). Hors d'oeuvers beginn at 6:00 pm followed by the dining stations open 7:00 PM. 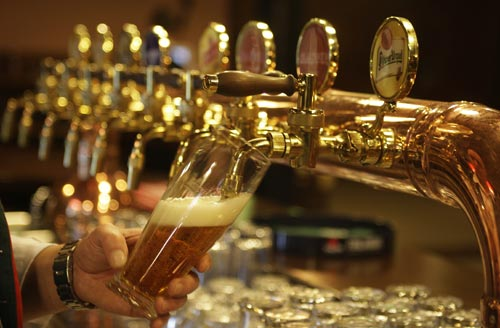 The Beer and Wine tasting event at Holiday Valley Resort is a great way to sample from over 30 beers or wines. Pre-sale tickets for the Beer and Wine Festival are $50 and are available online or at Wegmans through October 31, 2013. Tickets may be available at the door, but it is wise to pre-purchase because ticket sales are limited. The live music will be performed by Big Leg Emma. Complimentary shuttle service will be provided from the Inn at Holiday Valley, Tamarack Club, Alpine Meadows, Wildflower and Snow Pine Village. Space is limited for the event and reservations are required. Call 716-699-2345. The 2013 festival is no exception, there are fantastic brewers on site. The brewery stands in the beer garden are: Sierra Nevada, Magic Hat, Great Lakes, Erie Brewing, Saranac, Southern Tier, Ellicottville Brewing, John Harvard's, Ithaca, Roerhbac, Woodchuck, Custom Beer Crafters, Butter Nutts, Original Sin Cider, Harpoon, Voodoo, Smutty Nose, Long Trail, Hebrew and Otter Creek...plus many more! There are also over nine wineries for 2013, including theWinery of Ellicottville.Winery of Ellicottville, 21 Brix, Willow Creek Winery, Schulze Vineyards and Winery, Leonork Oaks, Clenora, Fulkerson, Merrit Estate Winery and Miles Winery. Each year the number of wineries participating in the event has increased. The event caters to both beer and wine drinkers alike. The breweries will have some of their hand crafted beers listed below at the festival. Most of the breweries at the festival are summarized in our review. Not all of their beers and ales will be available at the festival. See what the breweries have to offer and get a flavor or their style, creativity and award winning tastes! We Recommend - Our year round favorite is the Dortmunder Gold. It has good flavor and body and always satisfies. During the holidays, the Christmas ale is a must. It is hard to find so get it when you can. It has a nice spiced full flavor and has a sligtly higher alcohol content.Their Oktoberfest is also on our list and is a caramel color with great flavor this variety of beer, which is a plus. The Oktoberfest is not bitter and definately delivers. Seasonal - Hop sun (summer wheat), Harvest (English style extra special bitter), Old man winter (old ale), Chautuaqua brew (ale), Unearthly (imperial IPA), Hoppe imperial extra pale ale, Big red (IPA), Iniquity (imperial black ale), Gemini (imperial blended ale), Oak aged unearthly (imperial India pale ale), Back Burner (imperial barley wine style ale), Farmer's tan (imperial pale lager), Heavy Weizen (Imperial unfiltered wheat), Pumkin Imperial (pumpkin ale) and many more. We Recommend - We highly recommend trying their seasonal Pumpkin Imperial Pale Ale, which is one of the best pumpking ales in the midwest! It has great flavor, pleanty of hops and is not too heavy on the pumpkin. We Recommend - We recommend their German Stein Beer, Hop Bomb and Blueberry Wheat. A three have different flavors that are exceptional for their respective categories. If you visit the brewery, they serve the golden colored Blueberry wheat with fresh blueberrys floating in the glass. The Ultra Pale Ale is a great summer beer that is light in color, a little taste of hops and smooth finish. Westerrn New York state is known for their wineries, with their warm day and cool nights in the mountain and lake regions. The area has proven results at wine compettions and draws thousands of people year round to the wineries in Chatauqua area, Finger Lakes area and more. The regions' wines are shipped all over the world. We reviewed a few wineries for this article and we hope that you enjoy their wines at an event at their wineries in the near future. 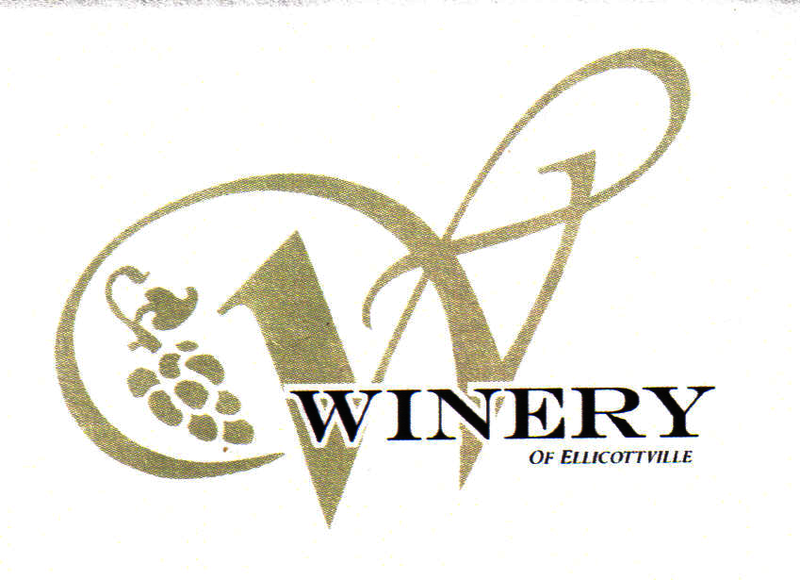 The Winery of Ellicottville was founded in 2010 Dominic Francesco and is located in downtown Ellicottivlle, NY. The winey was inspired by Francesco Spicola (Dominic’s Father). Francesco, who immigrated from Italy in 1968, brought the wine making tradition with him. Dominic continues the wine making Tradition with his Son-In-Law Sam. Together they create the wines with the careful consideration that Francesco used, combined with new world techniques that produce the Winery of Ellicottville’s award winning wines. The Winery of Ellicottville makes a fantastic Traminette, and we highly recommend it. They also produce a fine Reisling, Pino Grigio, Chardonnay and a Vidal. If you are feeling festive, they also offer three wines the EVL Red, EVL White and EVL Blue. If you like sweeter wines, there Snow Fox has been recommended from friends, which is made from a Niagara grape. If Reds are your flavor, they have a nice Merlot with dark cherry and black raspberry tones and a Syarah with a little spice. We Recommend - The Traminette. Is is has a great nose and litte bit of spice and a nice finish. 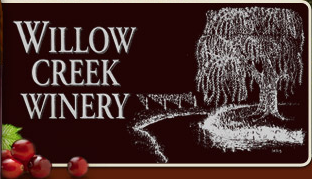 Willow Creek Winery was established as a wine making club in 1992 by Jim Emmerson. The club grew to 40 members and he retired in 1999 to make wine with 14 other winemakers. In 2000 Willow Creek Winery was shrank to 7 share holders which remains the same today. Unfortunately in 2000 Mr. Emerson unexpectedly passes away and Doug Metzger contintued as president of the winery. Willow Creek Winery is located in Sheridan, New York, which is close to Lake Erie and the town of Silver Creek, New York. The winery is located on a beautiful estate and host many concert events in their 600 seat open air pavilion. The winery produces 19 wines and 3 speacialty wines. Some of their signaturespecialty wines include Cream Sherry, Cholocate Tempations and Chautauqua Chocolate. Their white wines include a Reisling, Cayuga Wine and a Chardonnay. They have a larger selection of red wines which include a Cabernet Franc, Chambourcin, Cabernet Sauvignon, Merlot Red Rambo and a Dry Concord. Finally the winery has a large selection of sweets, including a Concord, Niagara, Pink Catawba, Sweet Agnes and more. The wines are excellent and a trip to the winery is well worth it with the extensive events and scenic estate. Schulze Vineyards and Winery land was in 1969 in Burt, New York. The primary purpose for some of the land (which was a small winery) was for juice prodution. Contracts were with Welch's and Great Western. As time went on, additional varieties of grapes vines were planted. Fast forward to today, and the first wine maker was hired in 2005. The winery opened in 2007 and Johnathan Oakes become the current wine maker in 2010. There still and sparkling wines are from vinifera grapes which include Cabernet Sauvignon, Cabernet Franc and Merlot. The also includ hybrids Siegfried Riesling and Vidal Blanc. Native Labrusca are Niagara, Concord and Catawba. They have a wide variety of wines to meet all palates. Schulze offers 6 styes of wine, including red, white, sweet, sparking, cracking, rose and dessert. The varieites / names of wine from white to red to sweet include Chardonnay, Reisling, Siegfried reserve, Vidal Blanc, Cabernet Franc Reserve, Meritage, Lake House Red, Old Barn Red, Lotus (rose), Catawba, Ruby, Cracking Niagara, Mon Cheri, Late Harvest Vidal Blanc, Vidal Blanc Ice Wine and Block Three Ice wine to name a few. The winery has tastings on site in their tasting room and their grounds are availabe for private events. The have a beautiful vineyard with a pergula covered patio and more. They are located close to Lake Erie, just north of Buffalo. If you cannot make it to the winery, they travel to wine festivals and events througout the summer and fall. The Merrit Estate Winery is located in Forestville, New York. Merritt Estate Winery was one of the first farm wineries organized in Chautauqua County in 1976; but the history of the Merritt Estate dates all the way back to the late 1800's when the original homestead belonged to the parents of Marguerite Merritt-Sample. William T. Merritt turned the estate into a full-functioning winery in 1976 and his son Jason C. Merritt joined the family operation in 1998. Together they devote their time and energy into producing some of the Chatauqua counties' finest wines. Merritt Estate is located in the largest grape growing region east of the Rockies and the largest Concord grape growing region in the world. The Chatauqua area grapes and wines rival the quality of premium vintages found throughout the world. Visitors to the winery can take at tour of the Merrit Estate facilties and surrounding vinyards. They also offer free year-round wine tasting in the Tasting Room and a complete selection of Merritt Estate wine is available for purchase at the winery or online. Merrit Estate Winery produces almost twenty different wines including red wines, white wines, dessert wines and specialy winets. The make a Bella Ice, Bell Rosa, Cabernet Franc, Chatauqua Blush, Chatauqua White, Chataugau Niagara, Edelweiss, Gewurtzraminer, Late Harvest Delaware, Mereo, Peach Splash, Reisling, Sangria de Marguerite, Sangria wine slush, Stawberry Festival, Winemaster's Choise, and XTC. Many of their wines have won awards at regional and national competitionsNational Commercial Wine competitions, The Great Lakes Wine competition, the Monterey Wine Cometition and more.